Early in the morning or late at the night, if a question pops up in your mind the first thing that most of you do is browse Google to look for the answer. Be it 10 years old child looking for the best racer toys or an accountant creating a database of various companies or a girl searching for the best cosmetics, Google has a solution for everybody. However, did it ever click in your mind that how Google works? I mean there are billions of web pages, billions of queries still it gives you relevant results just in a fraction of second. Many of you must be wondering how Google makes it possible. 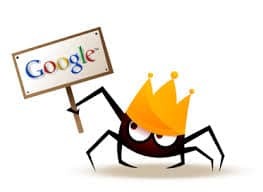 Besides, it is anyway important for businesses to know about it in order to act accordingly and meticulously.So for you here I am going to explain in detail as to how Google works, how it searches for your query from such a huge repository of data. Google has a huge index of data and when you search for something on web through it, it send out its algorithm software called ‘bots’ to browse through this index and search for the most relevant result for the query. This process is called ‘crawling’. Now, based on the specific keywords entered by you in the search bars, crawlers create a copy of the websites that are most relevant to them and creates an index of these web pages so that next time if a users types in the same query , the amount of time in results getting displayed gets reduced. 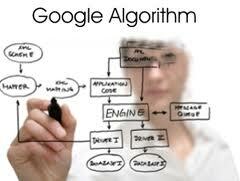 This process of indexing sites on basis of keywords is called Indexing. I. Google plots a course on the web by crawling. II. It trails links from page to page. III. Arrange the pages by their content and other factors. IV. Keep a track of all things in index. “You want the answer, not trillions of webpages. Algorithms are computer programs that look for clues to give you back exactly what you want. I. You type in a query in the search bar to get relevant answer. III. It pulls relevant documents from the index according to these clues. IV. Rank the results based on different factors such as site quality, safe search, user context and so on. “Every day, millions of useless spam pages are created. 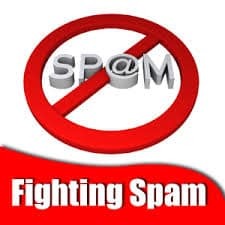 We fight spam through a combination of computer algorithms and manual review. Spam sites attempt to game their way to the top of search results through techniques like repeating keywords over and over, buying links that pass PageRank or putting invisible text on the screen. This is bad for search because relevant websites get buried, and it’s bad for legitimate website owners because their sites become harder to find. The good news is that Google’s algorithms can detect the vast majority of spam and demote it automatically. For the rest, we have teams who manually review sites.” – Google’s official Website. Google constantly keeps on working to make the search results as relevant as possible and so is always looking to fight spam through different ways such as computer algorithm or manual review. Google’s algorithms can identify the vast majority of spam and devalue it automatically. Rest everything is taken care of by a Google’s team specifically meant for this who manually review sites. During the manual process, they inform the site owner if their site is found spamming so they can fix it and inform Google again. So this was all about how Google search works. This would really be very helpful for those who have a website that they want to be displayed when a query related with their product or service is typed in on Google. So work according to how Google search works and get prized instead of getting penalized. If you need to have some more information you can visit the Google’s official website @ https://www.google.com/insidesearch/howsearchworks/ or watch the video by Matt Cutts @ http://www.youtube.com/watch?v=NW1h_yh5_v0.